Before :- Anita Chaudhary, J.
CRM-A No. 3-MA of 2011 (O&M) with CRA-AS No. 195 of 2015. D/d. 21.12.2015. For the Appellant :- In Person. For the Respondent in Persion :- N.S. Bains, Advocate. Ghurey Lal v. State of Uttar Pradesh, (2008) 10 SCC 450. Jagan Nath Goyal v. The Branch Manager, LIC, Sangrur, RSA-90-2011. Lt. Col. I.S. Chouhan v. Sant Ram, CRA-S-183-SBA-2007. Rangappa v. Mohan, 2010(3) RCR (Criminal) 164. S.K. Goyal v. Chittar Mal Mool Chand, CRM-A-738-MA-2012. Shriram Transport Finance Co. Ltd. v. Kashmir Singh, CRM-A-665-MA-2015. Anita Chaudhary, J. - Delay condoned. Leave to appeal is granted. CRA-AS- 195-2015 has been assigned by the Registry. This appeal is by a lawyer who is pitted against her client. The cheque given by the client had bounced which led to the filing of a complaint under the Negotiable Instruments Act. 2. It would be apposite to give the necessary facts to appreciate the contentions raised on merits. MML Chhabra and his son were named in FIR No. 147 registered on 29.03.2003, at Police Station Sector 39, Chandigarh under Sections 406, 498-A IPC, lodged by the daughter-in-law. The respondent at that point was the General Manager in RBI, posted at Mumbai. The daughter-in-law had named her husband Manish, her mother-in-law and father-in-law. The respondent through an acquaintance approached the complainant for filing anticipatory bail applications. Two separate applications were filed through the appellant. The application filed on behalf of the respondent was dismissed on 30.09.2003. Seven days notice was ordered to be given by the Investigating Officer in case the Investigating Officer wanted to arrest the respondent. A separate application had been filed on behalf of Manish which came up for hearing on 01.10.2003 and was dismissed. 3. Reverting to the present appeal, the appellant filed a complaint under the Negotiable Instruments Act as the cheque given by the respondent was dishonoured. A statutory notice was given. The respondent failed to pay. The complaint was filed on 04.03.2004. The complainant had pleaded that the accused had given her a cheque of L 44,000/- towards the discharge of his liability and there were insufficient funds in the account and he had prior knowledge that the cheque would not be honoured. The notice was sent by registered post. The accused sent his reply through courier and also through email. 1. That you had engaged my client as a counsel to apply for anticipatory bail for you, your younger son, your wife and your elder son Mr. Manish Chhabra and she filed and appeared on your behalf in the court of Sh. B.S. Baswana, Addl. Sessions Judge, Chandigarh. 2. That in the bail application filed on your, your wife and younger son's behalf orders were passed for giving a week's notice before arresting any one of you and the application filed on behalf of your son Manish Chhabra was dismissed. 3. That 'thereafter', you had given power of attorney to my client to file bail applications in the Punjab and Haryana High Court for the purpose of anticipatory bail as well as quashing of the FIR. 4. That for that purpose, you had issued a cheque for L 44,000/- bearing No. 350164, dated 17.09.2003 drawn on account No. 0601000044784 SB A/c drawn on HDFC Bank Ltd. Ground Floor, Maneck Ji Wadia Building (Kala Patru Haritage), Nanik Motwani Marg, Fort, Mumbai-400023, Maharashtra. 6. There is a reference to some anticipatory bail applications filed by my family members and me whereas no such authenticated copy of anticipatory bail applications has been made available to us. Please send me a copy thereof urgently, duly authenticate. 7. There is reference to some orders passed by Sh. B.S. Baswana, Addl. Sessions Judge, Chandigarh regarding anticipatory bail applications allegedly made by me or my other family members, but no copy of such orders has been made available to us. Please supply me a certified copy of all the orders passed by the Addl. Sessions Judge, Chandigarh, urgently. 8. There is also a reference to some orders passed by the Addl. Sessions Judge, Chandigarh regarding dismissal of petition of my son Manish Chhabra but no such orders was made available to us. A copy thereof dully certified may please be made available to me. 9. A xerox copy of the power of attorney allegedly signed me or by and of my family members for filing of petitions in Punjab & Haryana High Court, Chandigarh may please be supplied to me. 11. The break up of the amount of L 44,000/- as to what it represents has not been given in the legal notice nor any schedule of charges of the advocates enclosed with the legal notice. How this fantastic sum has been arrived at needs to be elaborated in detail and what is the relevance of that amount to the case filed in the District Court, Chandigarh, may please be indicated and schedule of charges also sent to me. 12. I had given L 13000/+ L 4,500/+ L 700/+ L 450/-(Total L 18,650/-) to her in cash on or about 16.09.2003 while I was at Chandigarh. There is no mention of the amount already paid to her in the legal notice served on me. Please confirm the same. 13. Please confirm if your client has also possession of two case files inclusive of original correspondence/documentary evidences, in respect of the divorce case filed by my son Mr. Manish Chhabra. If so, please return the same to me immediately as my son has to defend his case in the Court of law and in the absence of these documents, his defence is being vitiated. 6. Since the respondent did not pay, the complaint was filed. Preliminary evidence was recorded. The accused was summoned. There were two dozen applications seeking exemption from appearance. The proceedings got delayed as applications on one ground or the other were moved by the accused. During this period, he had approached the High Court twice seeking quashing of the complaint. The applications as well as the petitions filed under Sections 482 Cr.P.C. were either dismissed or withdrawn. 7. The trial Court considered the evidence of both the sides and acquitted the respondent finding contradictions in the version given by the complainant in her notice and what was stated in the Court. The complaint was dismissed on 04.05.2010. 8. Dis-satisfied with the judgment, the present appeal. The parties were referred to Mediation Centre by the Coordinate Bench on 26.03.2011. The respondent failed to appear and Coordinate Bench had ordered issuance of bailable warrants of arrest. The respondent finally appeared on 29.04.2014. The case was again ordered to be listed before the Mediation Centre. Considering the tone and tenor of the contents of the applications filed by respondent before the Mediation Centre, there could not have any success. The parties were sent back to the Court. Efforts were made here as well so that the parties could amicably settle the issues. They failed to resolve it. The matter was finally heard on merits. 9. Initiating the arguments, the appellant submitted that the respondent had approached her for filing anticipatory bail application as his son's wife had lodged the FIR and two petitions were filed and cheque of L 44,000/- was given in lieu of the fees and expenses for bail applications filed in the Court of Sessions Judge, Chandigarh and in case those were rejected, she was to approach the High Court and file anticipatory bail and also a petition for quashing the FIR. It was urged that a signed cheque bearing her name and date was handed over to her and the respondent asked her not to present the same as he had stated that he would pay in cash and get the cheque back. It was urged that she filed applications before Sessions Court, Chandigarh and the orders are available on the file and after the rejection of the applications she had drafted the petition for filing it before the High Court but the son did not come to sign the papers and the cheque was presented and was dishonoured. It was urged that in the reply to the notice, the respondent feigned ignorance about giving any cheque. It was urged that there is a contradiction in the stand taken by the respondent and he had taken a plea that in November, 2003 he came to know that the cheque had been mis-placed and stated that information to bank was sent in November itself but no evidence was led to prove the fact and it was only after the notice was received by him that he wrote a letter to the bank for stopping the payment. It was urged that Power of Attorney had been given to her for filing the petition before the High Court but the petition could not be filed for want of signatures. It was urged that the respondent three years later gave a complaint to the Bar Council and threatened her so that she may not pursue the case. It was urged that she had charged L 44,000/- for filing two bail applications in the Sessions Court and in the event of failure, the same were to be preferred in the High Court along with a quashing petition and there was no written agreement and since the respondent was insisting on seeing the copies of the application which was drafted, she had placed the same on record. It was urged that she had examined the Manager of the Bank and no cross examination was effected by the respondent and had any notice been sent to the Bank by the respondent in November, 2003, the respondent would not have forgotten to confront him with those letters. It was urged that the respondent had admitted his signatures and the date on the cheque to be in his hand and the cheque was made on the date on which the bail application came up for hearing and a false defence had been raised at a very late stage. Reliance was placed upon Shalini Enterprise and another v. Indiabulls Financial Services Ltd. 2013(2) RCR (Criminal) 798 and Rangappa v. Mohan 2010(3) RCR (Criminal) 164. 10. Responding to the arguments, the counsel representing the respondent had urged that no liability existed on 17.09.2003 and though the accused admits his signatures and date on the cheque but it was a blank cheque which has been misused and at the most, it could be taken as a cheque given for security. It was urged that the amount could be paid had the services been rendered. It was urged that a Handwriting Expert was examined and the sample signatures were taken in the Court and there are photograph enlargments and opinion has been given that the name and the amount mentioned on the cheque was not in the writing of the respondent. It was urged that no bail application or quashing petition was filed in the High Court and the cheque had been presented after 96 days. It was urged that respondent had engaged another counsel and the matter was listed on 22.12.2003 and when the complainant came to know that the respondent had engaged another counsel then she presented the cheque and there is no reason why it was not presented earlier. It was urged that had it been consolidated payment for all the cases, the cheque would have been presented earlier. It was urged that the complainant had changed her stand in the Court and the notice gives a different version but in the trial Court she had stated that this was the fees for both the Courts. It was contended that when his client returned from Chandigarh, he found that his papers and the cheque had been left behind and he immediately informed his bankers and sent a notice dated 24.11.2003. The counsel had referred to Ex. R- 23. He had urged that the notice was sent through fax and referred to Ex. R-24. It was urged that reminder Ex.R-26 was again sent. Reference was also made to the letters Ex. R-29 to R-31. It was urged that it was a security cheque and the amount was not payable and in an appeal against acquittal, the Court of appeal exercises extra ordinary jurisdiction and if two views are possible, the Appellate Court should not disturb the findings of acquittal. Reliance was placed upon Kamala S. v. Vidyadharan M.J. & Anr., M/s. Shriram Transport Finance Co. Ltd. v. Kashmir Singh in CRM-A-665-MA-2015, Lt. Col. I.S. Chouhan v. Sant Ram in CRA-S-183-SBA-2007 and Jagan Nath Goyal v. The Branch Manager, LIC, Sangrur and another in RSA-90-2011, S.K. Goyal v. M/s Chittar Mal Mool Chand and another CRM-A-738-MA-2012. 11. Responding to the arguments, the appellant had urged that the accused has stepped into the witness box as his own witness and had stated that he had paid L33,000/- in cash on 16.09.2003 which is in contradiction in what he says in his reply available at page No. 493 in para No. 12. It was urged that the Court had made a new case going beyond the stand taken by the accused and it had given a contradictory finding when it concludes in para No. 22 that "the picture was clear that the cheque had been issued for filing the anticipatory applications before the Sessions Court, Chandigarh as well as the quashing petition before the High Court". It was urged that the accused had contradicted himself again and again when he stated that he had not spoken to the appellant after 01.10.2003 but in his complaint made to the Bar Council he refers to the telephonic calls exchanged on 1st, 6th, 7th, 9th & 13th October, 2003 and accused her of over charging. It was urged that she had led evidence to show that it was not a case of stop payment but insufficiency of funds. It was urged that the respondent did not spare and had attacked her personal character accusing her of inefficiency, poor pleadings and berated her about her experience. (a) of consideration: that every negotiable instrument was made or drawn for consideration, and that every such instrument when it has been accepted, endorsed, negotiated or transferred, was accepted, endorsed, negotiated or transferred for consideration. (c) the drawer of such cheque fails to make the payment of the said amount of money to the payee or, as the case may be, to the holder in due course of the cheque, within fifteen days of the receipt of the said notice. Explanation. - For the purposes of this section, `debt or other liability' means a legally enforceable debt or other liability. 13. The Supreme Court in various authorities has laid down parameters in which interference can be made in the judgment of acquittal. "(8) It is clear that in an appeal against acquittal in the absence of perversity in the judgment and order, interference by this Court exercising its extraordinary jurisdiction, is not warranted. However, if the appeal is heard by an appellate court, being the final court of fact, is fully competent to re appreciate, reconsider and review the evidence and take its own decision. In other words, law does not prescribe any limitation, restriction or condition on exercise of such power and the appellate court is free to arrive at its own conclusion keeping in mind that acquittal provides for presumption in favour of the accused. The presumption of innocence is available to the person and in criminal jurisprudence every person is presumed to be innocent unless he is proved guilty by the competent court. If two reasonable views are possible on the basis of the evidence on record, the appellate court should not disturb the findings of acquittal. There is no limitation on the part of the appellate court to review the evidence upon which the order of acquittal is found and to come to its own conclusion. The appellate court can also review the conclusion arrived at by the trial Court with respect to both facts and law. While dealing with the appeal against acquittal preferred by the State, it is the duty of the appellate court to marshal the entire evidence on record and only by giving cogent and adequate reasons set aside the judgment of acquittal. An order of acquittal is to be interfered with only when there are "compelling and substantial reasons", for doing so. If the order is "clearly unreasonable", it is a compelling reason for interference. When the trial Court has ignored the evidence or misread the material evidence or has ignored material documents like dying declaration/report of ballistic experts etc., the appellate court is competent to reverse the decision of the trial Court depending on the materials placed." 1. The appellate court may only overrule or otherwise disturb the trial court's acquittal if it has "very substantial and compelling reasons" for doing so. (vi) The trial court has ignored the evidence or misread the material evidence or has ignored material documents like dying declarations/report of the Ballistic expert, etc. (vii) This list is intended to be illustrative, not exhaustive." "Now the only question which needs to be contemplated is whether the cheque in question was issued in discharge of legal liability as envisaged under Section 138 of Negotiable Instrument Act or not. Here also it becomes pertinent to mention that there are two version of the complainant on record. As per first version, the cheque in question was issued for filing anticipatory bail applications and quashing petition in the Hon'ble High Court. 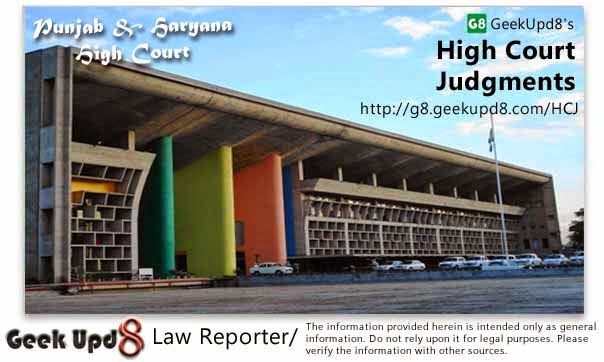 But during the course of leading evidence, the complainant improved her version and have stated that the cheque in question was issued as lump sum payment for filing anticipatory bail applications as well as quashing petition before the Sessions Court, Chandigarh as well as before the Hon'ble High Court, Chandigarh. But the second version of the complaint stands defeated in the light of legal notice Ex.C4 issued by the complainant through her Advocate which clearly stated that the said cheque was issued for filing anticipatory bail applications as well as for quashing petition before the Hon'ble High Court therefore in the light of inconsistency in the evidence of the complainant seems to be an after thought and is not acceptable being contrary to her own documents." 17. The facts as they emerge from the record show that there are contradictions in the version given by the respondent at the various stages of the case and it is in the background of the factual matrix that the whole case has to be examined. 18. The case set up by the complainant was that she was engaged by the respondent to file bail applications before the Sessions Court and in case the applications were dismissed, she was to approach the High Court and she had also to file a petition for quashing of the FIR. Admittedly the respondent was posted at Mumbai at the relevant time. He came to Chandigarh and contacted the lawyer through a reference. He had withdrawn some amount on 15th September. The respondent admits his signatures and the date on the cheque to be in his hand. It can be said that the notice is not happily worded. The emphasis of the respondent was on the word 'thereafter' used in para No. 3 of the notice and words "for that purpose" used in para No. 4 of the notice. It had been urged that use of 'thereafter' in the notice would mean that the fees for the work which was to be done post the dismissal and for filing petition in the High Court which was never done and there was no legal liability. Now let us see the reply given by the respondent. The respondent feigned ignorance about filing of application and about the orders passed on those applications and he asked for authenticated copy of the applications, orders and power of attorney. But para No. 12 of the same reply, he admits to have given L 18,650/- to the lawyer on or about 16.09.2003. Respondent did not mention in the reply that the cheque was misplaced by him or that he had written to the bank for stopping the payment. 19. The respondent does not say or even indicate that he had conveyed to the appellant either telephonically or otherwise that she was not to proceed further or file any petition. The reply to the notice was given in February, 2004. The affidavit however later filed shows this stand. He had deposed that "after looking at the fate of the bail applications he had decided not to engage the complainant for the High Court". Respondent in para No. 27 of the affidavit Ex.DW1/A tendered by way of examination-in-chief while appearing as his own witness, categorically states that he had spoken to the complainant on 1st, 6th, 7th, 9th and 13th October, 2003. This stand came as late as on September, 2009 i.e. five years after the reply. In the cross examination the respondent admitted that he had mentioned in his affidavit that he had never exchanged any correspondence either by post or otherwise with the complainant after 17.09.2003. The respondent had stated that he had snapped all his connections with the lawyer in the month of October, 2003 and he stated that he came to know about the loss of the cheque only in November, 2003 when he was arranging his luggage. Respondent has also stated that he had sent a letter to his bank to stop its payment and introduced a photocopy of some documents which though are exhibited but those were not proved nor could be considered. Those documents came from the respondent's own record and all of them were photocopies. 20. The respondent had the opportunity to summon the witness from the bank to prove that he had written any letter on 24.11.2003 to stop the payment. The complainant had summoned an official from the bank but no cross-examination was effected upon him. The reasons are obvious. The respondent also contradicts himself with respect to the amount which he had actually paid. The L 13,000/- as counsel fee and some miscellaneous expenses and the total amount paid was L18,650/-. Later he states that the figure was mentioned from his memory but later he discovered a diary in which this amount was noted and according to it, a sum ofL 16,600/- was paid. The respondent contradicts himself with another version which appears in his cross-examination effected on 13.10.2009. There he states that he had brought L 10,000- 12,000/- as cash and withdrew L 9,000/- from a ATM at Chandigarh on 15.09.2003 and he paid L 30,000/- in cash on 16.09.2003. The total of the amount he had, does not add up to L 30,000/-. The respondent thereafter stated that he had signed a cheque on 17th as he felt that he might fall short of money but did not withdraw the money from ATM as he could not go there personally. 21. The stand taken in the statement under Section 313 Cr.P.C., was that the complainant had forged the cheque and had put her own name and the amount. The accused admits his signatures on the cheque. He also admits that he had put the date on the cheque. The question is whether the defence raised by the accused was probable. 22. In the course of the trial, the accused had admitted the signatures on the impugned cheque to be his own. Once this fact has been admitted then Section 139 of the Act mandates presumption that the cheque pertained to a legally enforceable debt or liability. There was no occasion for making a cheque on 17.09.2003. The respondent held a high position in RBI. He could have transferred the amount later if money was to be given later. The reason for giving the cheque was apparent that he was liable to pay the amount, he was short of money, therefore, gave the cheque. 23. The complainant's case was that a composite fee was settled for all the work and it is on that account the cheque was given. Once there is an admission regarding the signatures then Section 139 of the Act mandates that the cheque pertained to a legally enforceable debt and the presumption is of a rebuttable nature and the onus had shifted on the accused to raise a probable defence. The defence raised by the accused is not probable. The accused took the stand that he had misplaced the cheque very late. He was unable to prove that he had given instructions to his bank for stopping the payment. There is a conflict in his version. If the accused had indeed misplaced the bank bearing his signatures, there was no reason why he would mention the date on the cheque. The date mentioned on the cheque is most relevant. 24. No correspondence between the respondent and the bank could be produced. It is only after the notice was received then the accused sent letters for stopping the payment. It is at a later point of time a well thought of defence was raised. A perusal of the record shows that the accused had belatedly taken up the defence of loosing the cheque. He had feigned ignorance about the filing of the bail applications. All the circumstances lead to a conclusion that the accused had not raised a probable defence to rebut the statutory presumption. The accused used all possible ways to threaten the complainant, he made complaints against her to the Bar Council, he threatened to approach the Supreme Court in his various applications/affidavits. He also approached the Chief Justice of the Court with a complainant. The accused did not spare the complainant and made uncalled comments with respect to her personal life. 25 (I). She did not oppose the sudden appearance of the advocate Shri Pardeep Bedi from the girl's (complainant therein) side, for contesting the anticipatory bail case. He had no locus standi in the matter as it was case of "State v. Manish Chhabra and Others", and nobody from the girl's (complainant therein) side could appear and oppose the application for anticipatory bail; it was only the Public Prosecutor who could be heard in the matter by the Hon'ble Court. The complainant rather emphatically countered the deponent by saying that she cannot oppose him because in similar cases, she herself had been appearing in courts on behalf of girls. 25 (ii). She had very clearly exhibited a very sharp internal conflict in her mind and diffident attitude to fight his case in the District & Sessions Court, Chandigarh. 25 (iii). Being sympathetic to the girl's side and she herself being a divorcee, she did not have the courage and conviction to fight the case of the deponent's son in the Punjab & Haryana High Court, Chandigarh. 37. That deponent had met the complainant for the first time on 14.09.2003 with regard to the anticipatory bail case and thereafter, he never met the complainant after 17.09.2003 at Chandigarh except the chance meeting on 20.12.2003 in the Punjab & Haryana High Court, Chandigarh when the complainant had a tiff with him. The deponent never exchanged any correspondence also with her by post or otherwise after 17.09.2003, that is, the day he finally parted company with her at Chandigarh. 38. That here it may be mentioned that when the deponent again fell short of money on 17.09.2003, because of heavy payments extracted by the complainant from him, he decided to withdraw some cash through the "Demand Draft Purchase" facility from the local office of the Reserve Bank of India. Therefore, he took out cheque No. 350164, dated and signed it in the forenoon of 17.09.2003 and in the meanwhile contemplating as to how much amount should be drawn and who should go to the RBI i.e. the deponent or his son. At that particular time, the anticipatory bail case of the son of the deponent was also being heard in the District & Sessions Court, Chandigarh. Seeing the situation, deponent's son Manish Chhabra interjected and told him that he had some cash with him which would serve the purpose of backward journeys from Chandigarh when the deponent and his son already had preserved return tickets and that at that crucial time they should not run to banks for withdrawing money. (Demand Draft Purchase facility is allowed to Officers of the Reserve Bank of India for withdrawing cash by surrender of self drawn cheque at any station where the office of RBI is located). 26. The trial Court based its judgment only on the assumption that there were contradictions in the notice and what was stated in the Court. It had focused entirely on the notice without considering the facts, the pleadings and the material and the admission made by the respondent from time to time. It failed to notice the contradictions appearing in the defence. It was swayed by the fact that notice did not mention the details. There is no requirement that all the facts were to be mentioned in the notice. I may, however, say that the notice is not happily worded when it chooses to use, 'thereafter' in para No. 3 of the notice and the expression 'for that purpose' used in para No. 4 of the notice. The true spirit behind has to be gathered. The notice was drafted by the lawyer and often unnecessary words change the sense. It is not desirable to give undue emphasis to it. The onus had shifted upon the accused and he was to explain why he made the cheque when he was in Chandigarh. Where was the need for him to make a cheque and put the date. The evasive response to the notice shows that he was not willing to commit even about the engagement of the counsel. He feigned ignorance about the filing or disposal of the bail applications though later he admitted making telephone calls in October, 2003. 27. The accused had taken a stand that it was a case of forgery. The accused had examined a Handwriting Expert. The accused had moved an application before the Court for taking the specimen handwriting of the complainant as well as the accused. The surprising fact is that the Handwriting Expert gave a report saying that the signatures and date were in the hand of the accused but he did not care to examine or compare the handwriting of the complainant with the disputed portion of the cheque. There is no explanation either. Therefore, it can be said that the report was incomplete. The accused had already admitted his signatures. He had also admitted that the date had been put by him then there was no need for any examination. The story that the accused had misplaced the cheque was a false defence. The cheque was given to the complainant as there was a legally enforceable debt. The plea set up by the complainant that the amount was a composite amount and it was a lump sum fee settled for all the work is found to be correct. In this country, the lawyers are paid their fees in advance or at different stages of the trial. 28. The complainant had given the reason for depositing the cheque late. She was waiting for respondent to pay up. When the complainant found that the respondent had engaged another counsel. The cheque was deposited. The respondent had made himself liable as there were no funds in his account. He was not able to contest the existence of a legally enforceable debt or liability. It is held that the accused was not able to raise even a probable defence and the statutory presumption comes into play which has not been rebutted. It creates doubt about his defence. 29. It is important to note that when the complainant was under cross-examination, the stand taken by the complainant was that it was a security cheque which has been denied. Thus it would be seen that the accused in order to defeat the case had been changing his stand and taking contradictory positions at the various stages of the trial. So far as the security cheque is concerned, the law is clear that it is an acknowledgment of liability on the part of the drawer that the cheque holder may use the security as an alternate mode of discharging his liability. Even if, it is taken that it was a security cheque then the accused had made himself liable as he had not sent any payment to the complainant subsequently. 30. In my view, the Magistrate was completely misdirected in law and facts. The defence was frivolous. Mere suggestions to the complainant that the cheque was issued as security, does not amount to proof. The trial Court was obsessed with the idea of proof forgetting the offence under Section 138 of the Negotiable Instruments Act was a technical offence and the complainant was only supposed to prove that the cheque issued by the respondent was dishonoured. The onus had shifted upon the respondent when he admitted his signatures and it was for him to explain. 31. The Magistrate had returned a finding of fact which was palpably wrong, its approach in dealing with evidence was patently illegal, its decision was based on erroneous view of the evidence. The trial Court had ignored the evidence which has resulted in miscarriage of justice. The order of acquittal is set aside and the accused is convicted under Section 138 of the Negotiable Instruments Act. 32. On the quantum of sentence it was urged that the respondent had retired and his wife had died and his daughter was 34 years old and she was a handicap. Prayer for a lenient view was made. 33. I have considered all aspects. In my view sentence of four months would be appropriate. The accused would also pay compensation i.e. double the cheque amount under Section 357 Cr.P.C, to be deposited within 30 days, failing which it would bear interest at the rate of 9%. The compensation amount would be paid to the complainant. 34. The respondent would surrender before CJM, Chandigarh within a month, failing which the CJM, Chandigarh would issue warrants of arrest to procure his presence and commit him to custody to undergo the sentence. Copy of this order be sent to the Courts below. CJM, Chandigarh would send compliance report after the expiry of the month.